Advancing your product development efforts with flexible, high-performing software and hardware connectivity solutions. The BridgeWay™ family of network gateways and interfaces provides high-performing and cost-effective connectivity solutions for a wide range of applications. Designed as a modular platform with configurable hardware and software, users can adapt BridgeWay gateways to meet specific application requirements. 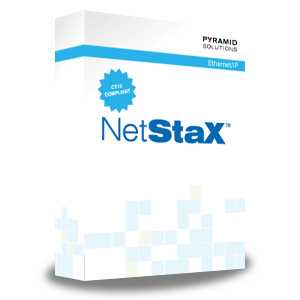 The NetStaX™ family of software solutions include DLLs, protocol stacks, components, drivers, middleware and tools all designed to enable network connectivity for your systems and devices, while also verifying that your product is functional, conformant and interoperable. Our suite of protocol stack source code solutions connects both vertically – between the layers of a network, and horizontally – between the end-points of each transmission segment. They increase the simplicity of your application software, improve reliability and shorten your product’s time to market. We offer four different NexStaX solutions for your testing and development needs. These tools test and debug EtherNet/IP products, enable end-of-line and field testing and serve as excellent demos for your end customer.